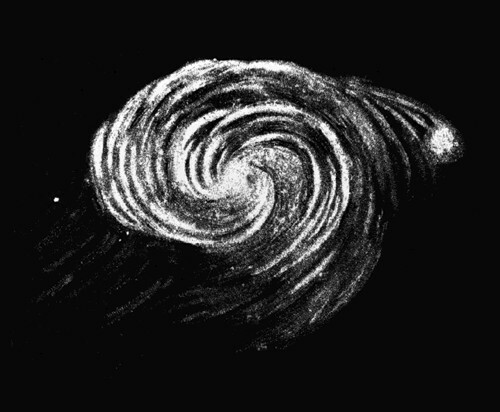 some, seen edge-on, look much like the visual Milky Way. (One counterargument was that these had much higher central surface brughtness than any part of the Milky Way - which is true, because of all the dust in its plane). 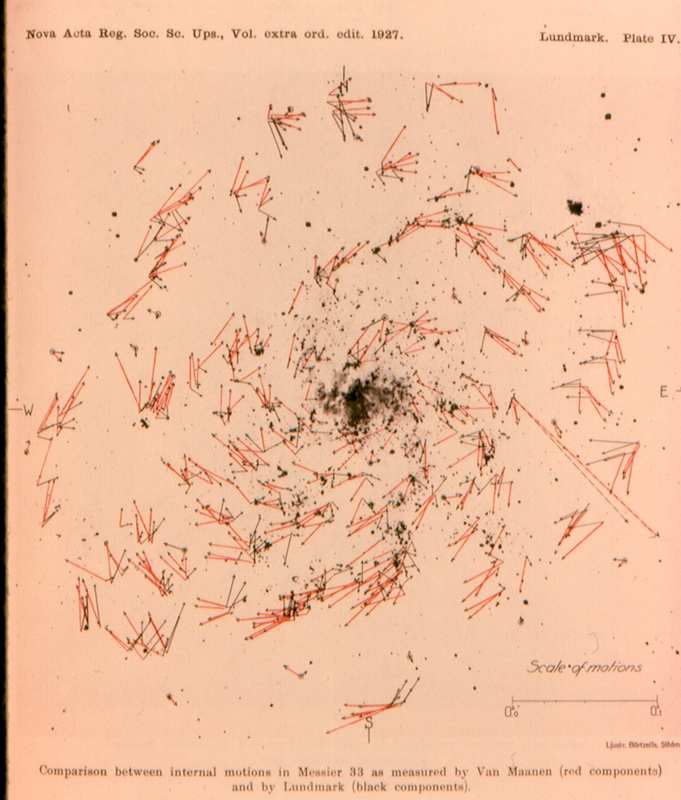 Meanwhile study of the Magellanic Clouds (by Henrietta Leavitt and Annie Cannon) laid a basis for measuring galaxy distances, via the period-luminosity relation (or Leavitt law) for pulsating Cepheid variables. Using the 100" reflector on Mt. Wilson, Edwin Hubble found Cepheids in what are now known as Local Group galaxies - M31, M33, IC 1613 - and established them as so distant that they must be separate systems. This history is all spelled out in Man Discovers the Galaxies by Berendzen, Hart, and Seeley (Science History Pub. 1976). 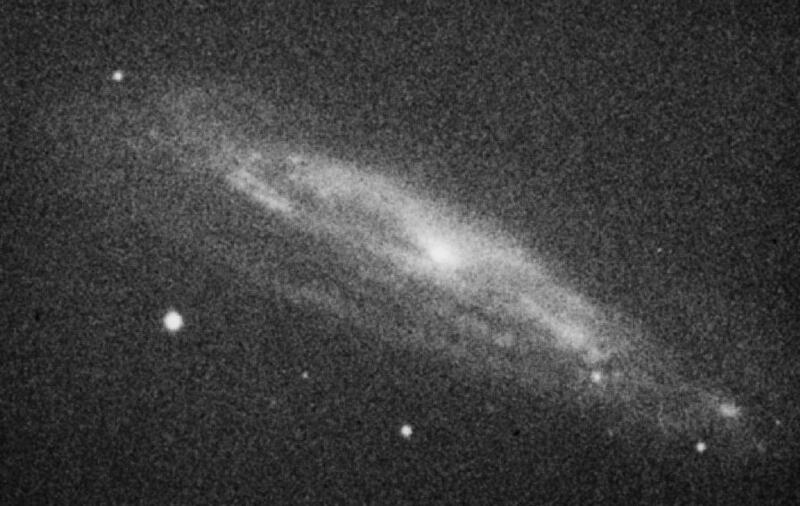 Hubble's results on Cepheids appeared in ApJ 62, 409 (1925) for NGC 6822; ApJ 63, 236 (1926) for M33; and ApJ 69, 103 (1929) for M31. An interesting issue in the history of science appears in contrasting these results to the contradictory conclusions reached by Adriaan van Maanen, also working at Mt. 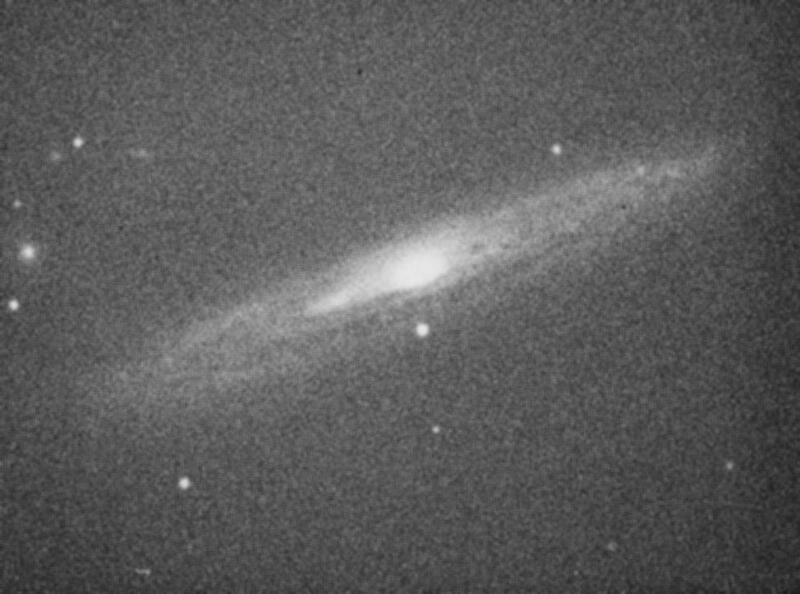 Wilson, who reported astrometric detection of rotation for several spirals such as M101 and M33. Such detection would require that these objects be quite nearby. Remeasurement of the plates has confirmed no such effect, and van Maanen followed all the rules for good practice in eliminating subjective measurement effects. Later work has failed to show where he might have gone wrong - is this a tribute to the power of subconscious suggestion, or what? 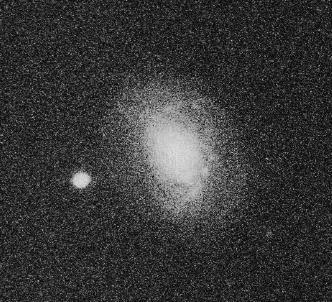 (van Maanen's ghost may be quietly smiling now that HST has clearly shown such rotation in the Large Magellannic Cloud, VLBI maser spots show it for a few more galaxies, and GAIA should do so for Andromeda and M33).